Thanks for listening to my interview on War Room! Please join our growing audience of tens of thousands of email subscribers, so you can get announcements of new free online training that we produce, helpful content that we publish, and updates on our documentary film and media project. If you have any questions about my interview or anything else that I might be able to help you with, please use our contact form to send us a note and we’ll get right back to you! 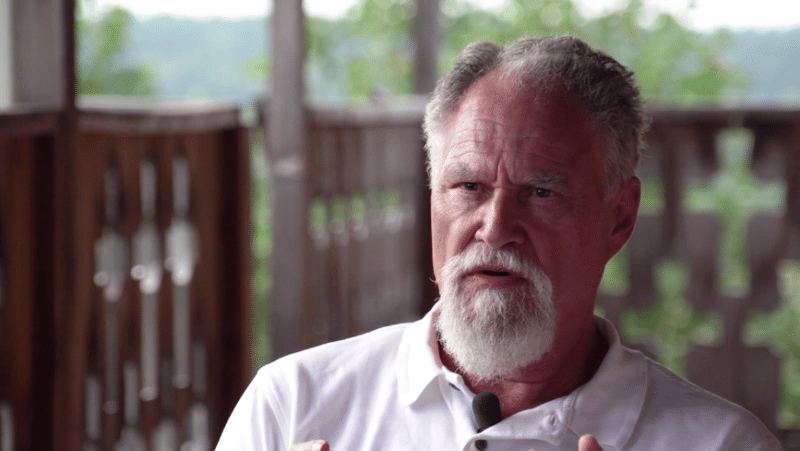 The Beyond Off Grid documentary film will address these important issues and questions, and will provide you with solutions that you can implement for positive change. 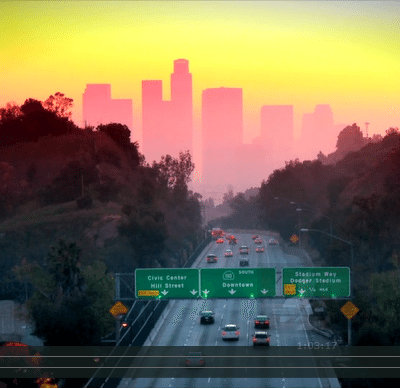 Want to Watch it Now? The film is available now and we have a lot of exciting news and events coming your way. Sign up for email updates now, so you won’t miss out on any news, giveaways, and more! Ready to Return to the Old Paths? Learn the essential skills you need to build your self-reliance and Return to the Old Paths that your ancestors thrived with. Plus, our course members get 9 ebooks, guides, checklists, and other resources to aid their journey! 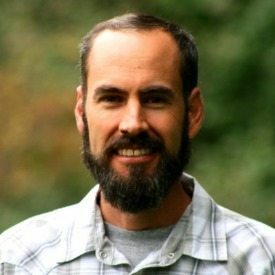 Beyond Off Grid has been doing online training for years, but unlike a lot of summits, we hosted a REAL live Summit event at a unique permaculture farm that’s implementing this teaching in the mountains of Virginia, and actually building and installing the off-grid and old-path technology that we’re advocating. 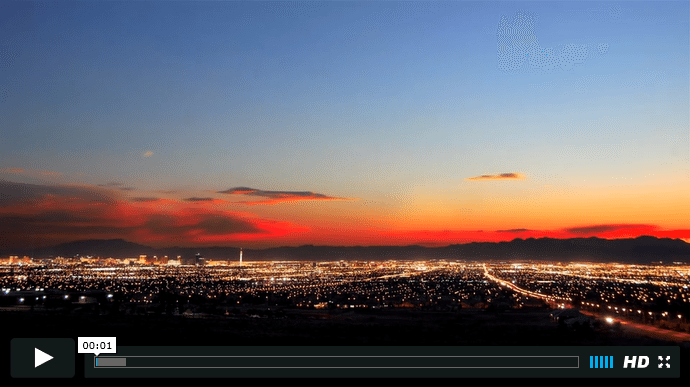 We professionally video recorded all 25 Live Event sessions, and they’ve been edited into a top-notch training product unlike anything else available. 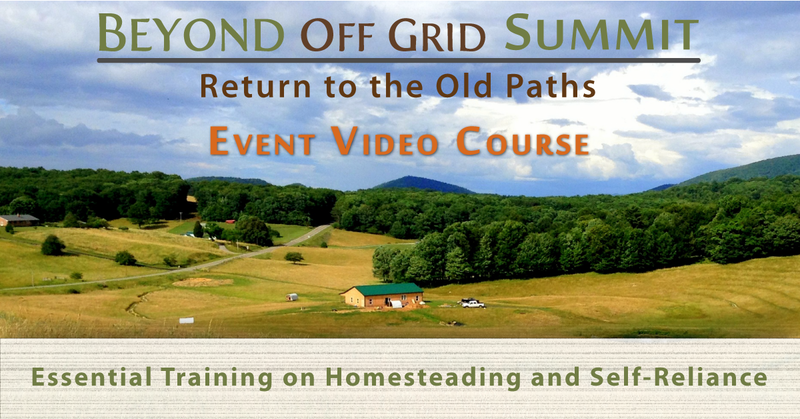 Our Beyond Off Grid Summit Event Video Course was professionally filmed at our one-of-a-kind live training event and includes 25 video training sessions from experienced homesteaders teaching at a unique permaculture homestead and farm. 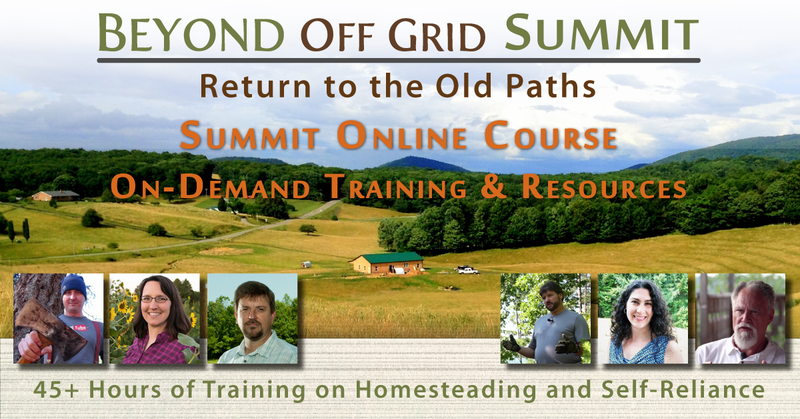 The Beyond Off Grid Summit Event Video Course will help you supercharge your journey to self-reliance and sustainable living. Be sure to watch the inspirational intro video and the free training session video clips. 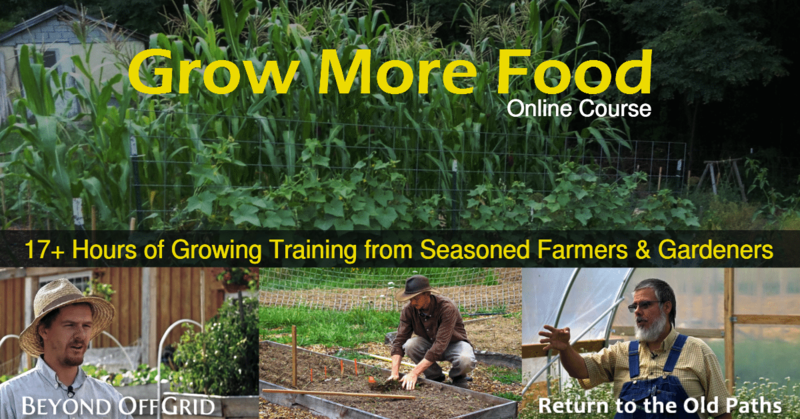 Growing More Food is Key to Reducing Your Dependence! Learning how to produce your own food is an important part of Returning to the Old Paths. Plus, it all comes from veteran growers—this is the wisdom you need to start or continue a successful growing journey. Get heirloom seeds for your garden from a small family business that wants to share their love of seeds and gardening as a family with you! Take advantage of a special 15% off discount! Use code at checkout to claim your savings. Save time and effort planning your garden this year. 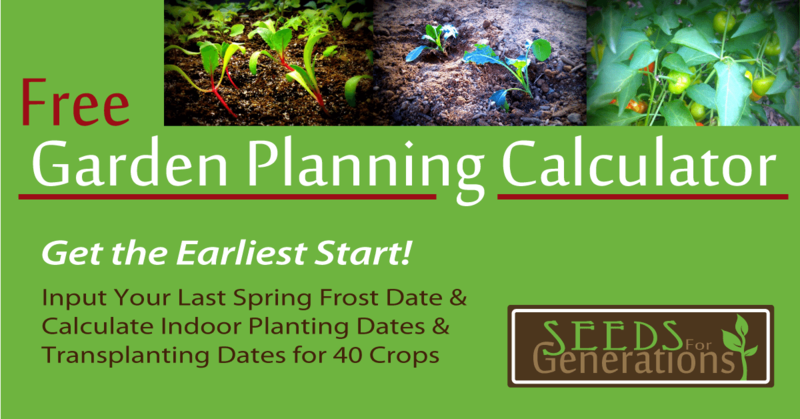 Use the Garden Planning Calculator to calculate all your planting dates!